A new sport is sweeping across senior communities and public gyms in North Georgia. 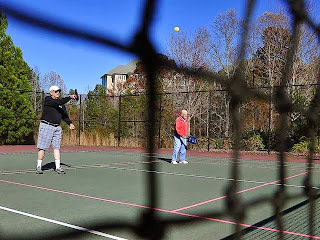 The game pickleball, akin to tennis and badminton, frequently attracts seniors because of its smaller courts and greater accessibility. Lanier Village Estate resident Tory Elliott plays regularly at the retirement community. I'm really enjoyed reading this article and whole website, thanks a lot for this information!